The National Association of American Veterans, Inc. president and chief executive officer, senior advisors, board members, and guests of NAAV attended a two-day Respite Care Retreat sponsored by the National Association of American Veterans and its partners on November 30 and December 1 at the National Conference Center, 18960 Upper Belmont Place, Leesburg, Virginia, about 28 miles from Washington, DC. 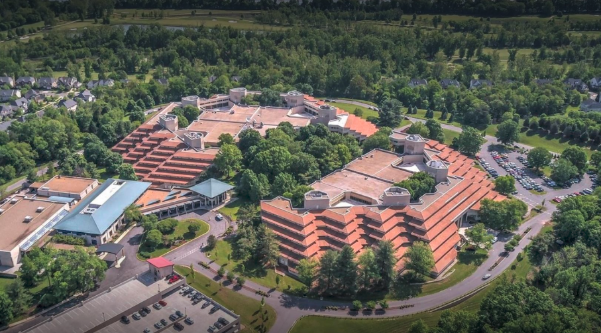 The National Conference Center is a corporate training facility comprising 265,000 square feet of meeting space and is one of the largest in the region, hosting over 14,000 people a month. The Center contains 250 conference rooms, a fitness center, and 917 guest rooms. The building was built in 1974 as the Xerox Conference Center at a cost of $55 million to train employees in copier technology and equipment. In 1994 Xerox opened the facilities to other corporations and sold it to Oxford Capital Partners in 2000 as part of an exit from the hospitality industry. 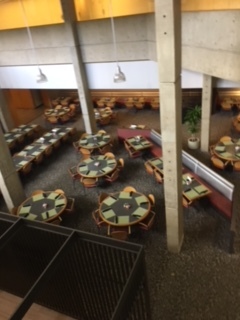 Since its opening in 1974, the Center has been run by ARAMARK Harrison Lodging, a management services company. The Center was originally situated on 2,265 acres of land in Leesburg, Virginia. Through subsequent sales and subdivisions, the current complex sits on 110 acres of the original land. About the National Association of American Veterans, Inc. The National Association of American Veterans, Inc. is a 501 (c) (3) nonprofit charitable organization founded in 2005 and incorporated in 2006 and called to support Veteran caregivers and their Veteran loved ones most in need in DC, Maryland, and Virginia and nationwide. NAAV helps our qualified Veteran caregivers meet challenges of daily living by providing emergency financial assistance and respite care. NAAV is recognized by the DoD, District of Columbia, the U.S. Congress, and the U.S. Department of Veterans Affairs as a Veterans’ service nonprofit organization established to provide short-term emergency assistance relief resources; assistance with claims and benefits; respite care and legal, housing, and counseling referrals; and employment assistance. In 2007, as NAAV’s CEO, Constance Burns was instrumental in getting support of Veteran caregivers in the final recommendations for the President’s Commission on Care of America’s Returning Wounded Warriors, which became Public Law 111-163, the Caregivers and Veterans Service Act, on May 5, 2010. This legislation was signed into law by President Barack Obama to improve health care for Veterans and recognize the important role of military family caregivers in the recovery of their injured loved ones. Under this law, caregivers can receive help with lodging allowances, counseling, and training in self-care and methods of care from accredited trainers and coaches. The NAAV Military Family Program was created in 2007 to provide accredited self-care training, career coaching, stress counseling referrals, respite care, and access to resources for military families caring for severely injured Veterans, service members, and their families residing in the greater Washington metro area, VA Medical Center, military hospitals, and the Fisher Houses as well as those in critical need nationwide. 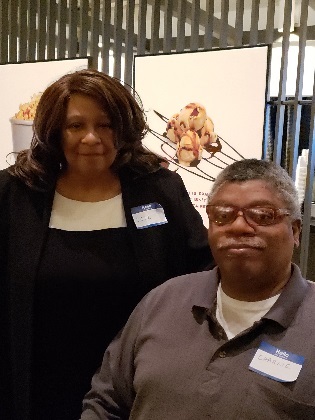 “As a caregiver of twenty-nine years, I was looking for a way to use my experience to ease the burden on military caregivers,” said Ms. Burns. This program is a way to return the favor for the sacrifices made for our nation by those who served and are serving in the United States Armed Forces worldwide. The NAAV Respite Care Retreat was held on November 30 and December 1 at the National Conference Center in the National Secret Meeting Room. 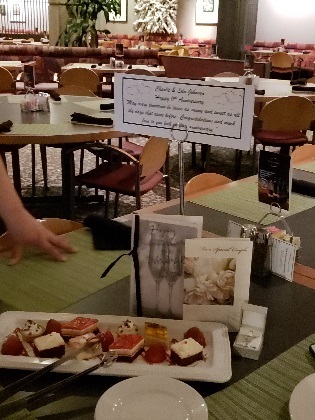 Constance A. Burns, BS, MA, Post Master’s and PhD coursework completed, founding President, Chief Executive Officer, and Veterans’ service officer, opened the social event with a prayer, welcome, and introduction of guest speakers for event. There were five guest speakers, representing DC, Maryland, and Virginia. 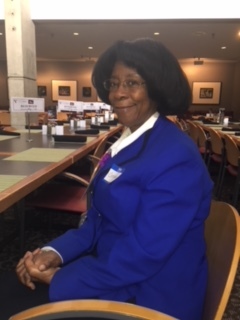 Elsie Moore, BS, MS, LICSW, Caregiver Support Program Manager, Education and Training, Veterans Affairs Central Office, Washington, DC, has over 24 years working in the federal government and most of the time has been with the DC Veterans Affairs Medical Center serving Veterans. Lola Taylor Johnson has been a caregiver for her husband, a Gulf War Veteran, for over 10 years. She serves on the National Association of American Veterans, Inc. Advisory Council for Caregivers. She writes articles for NAAV such as “How to Handle Guilt and Other Caregiver Emotions,” “NEW START,” and “How to Manage Your Feelings.” Visit www.naavets.org under the tab Veterans Caregivers for more information about these subjects. Mrs. Johnson is a certified Veterans’ Service Representative for Veterans’ claims and benefits, where she helps Veterans apply for their benefits on the second and third Monday each month. She also helps the planning team with respite care for Veteran caregivers and their loved ones. Elder/Pastor Byron Williams, U.S. Air Force (Ret), was reared in The Way of Holiness Church of God in Christ and has a Bible-based upbringing that later served as the foundation for his own transition into ministry. After completing Clinical Pastoral Education Training in 2009, Elder Williams began serving as a chaplain with the National Rehabilitation Hospital Center in Washington, DC. 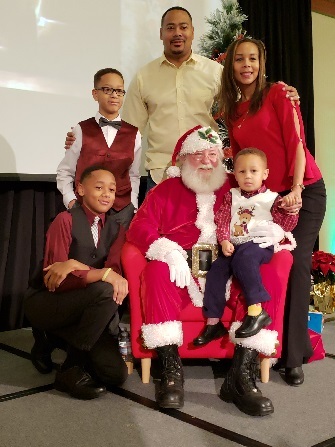 He served as a family advocate at the Washington Hospital Center, where he provided grief and trauma counseling to patients, their families, and hospital staff, and conducted bimonthly worship services and spiritual care counseling. 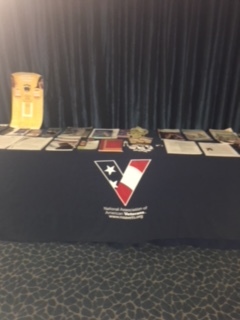 Margaret A. Walker, U.S. Navy (Ret), NAAV Advisory Council for Veterans’ Outreach, Veterans’ Claims and Benefits, Veterans Advocacy, and Spiritual Counseling for DC, Maryland, and Virginia. Mrs. Walker is the widow of a deceased Veteran and resides in Virginia and Texas. After serving over 20 years in the military, Mrs. Walker continues to promote autonomy, self-sufficiency, and independence of displaced or at-risk Veterans due to hardships related to military service deployments. Candice Willett, MA, MPA, is a medically retired U.S. Navy Veteran. Ms. Willett has extensive experience in customer service, career counseling, community outreach, equal opportunity management, quantitative and analytical reporting, and analysis, training, and project management. She is the outreach coordinator for the Steven A. Cohen Clinic, where she has worked on building relationships with community organizations and continues to bring awareness of behavioral health within the military community. Ms. Willett is a certified health coach with a passion for building healthy communities and advocating for social resources to get Veterans and their families the education, access to adequate resources, social support, and health equity they need to have healthier communities and overall well-being to have a better quality of life. Believing that all aspects of health are essential, she works to educate communities on the stigmas of certain health matters and overall to be a social change agent in health education. Sherri Jones-Kleiner is proud to be identified with the elite group known as “Army Brats.” Ms. Jones-Kleiner’s father spent his career serving in the U.S. Army and retired to Fort Dix, New Jersey, where Ms. Jones-Kleiner spent her high school years. In 2013 she had the blessed fortune of meeting Constance A. Burns, CEO and Founding President of NAAV, at a CFC fundraiser and began volunteering with this organization soon after and currently serves as the Media and Publications Manager. A graduate of George Mason University and a Golden Key member, Ms. Jones-Kleiner received her master’s degree in special education in May 2010. She is a certified Zumba instructor and the published author of a volume of poetry: Through the Eyes of a Poet (2016). Attendees were given informal presentations by the guest speakers. 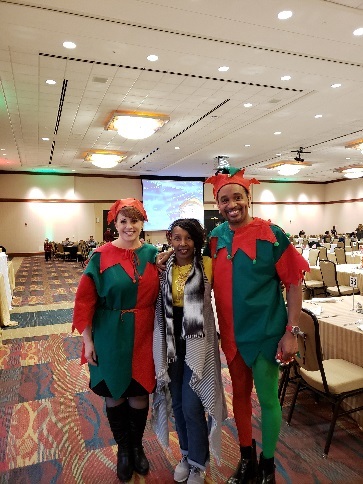 On Saturday morning, December 1, attendees enjoyed Breakfast with Santa, a buffet sponsored by the National Conference Center in the Conference Ballroom, from 8:30 a.m. until 11:30 a.m. 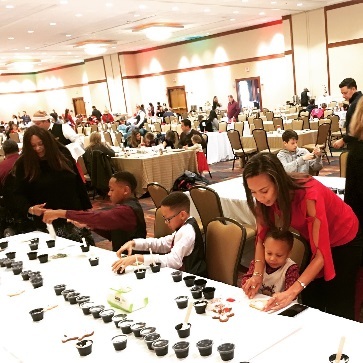 Donations from NAAV sponsors paid for Veteran caregivers, Veterans, and their families to join the celebration with residents from the surrounding areas in Virginia, with over 500 attendees at this social event. 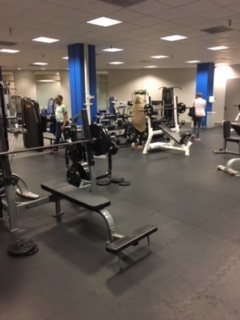 Attendees also enjoyed time in the fitness center and inspirational movies and one-on-one conversations with guest speakers to elaborate on topics on NAAV Respite Care Agenda such as Caregiver and Veteran Relaxation; VA Caregiver Support Program; Support Groups and Resources; Overcoming Anxiety, Stress, Grief; and Spiritual Wellness. 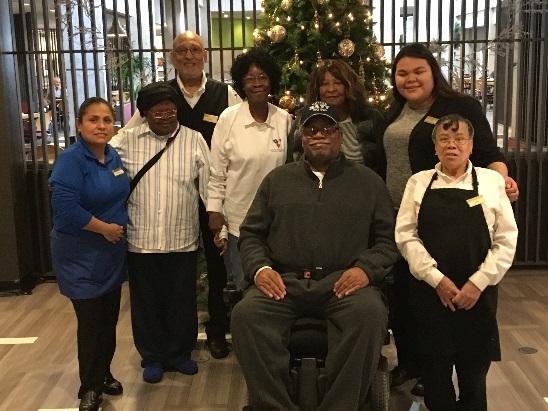 Special thanks to The National Conference Center for making this Respite Care Retreat a successful activity for Veterans, Veterans caregivers, and their family members residing in the District of Columbia, Maryland, and Virginia. 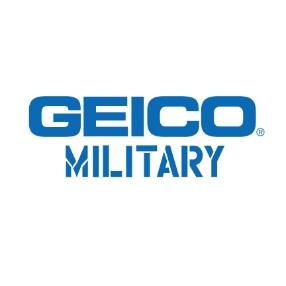 Thanks to NAAV guest speakers and partners TracFone Wireless, Inc. and GEICO Direct for their donation in support of Veterans and their family members. The main purpose of this Respite Care Retreat was to provide some free time away from the day-by-day duties of a Veteran caregiver and to present some topics such as managing stress, overcoming anxiety, understanding the importance of exercising, relaxing, coping strategies, handling grief, and recognizing the importance of support groups to help and provide needed assistance to family members, followed by a question and answer time. NAAV operates on donated funds. The funds received are used to benefit Veteran caregivers and their Veteran loved ones who live in DC, Maryland, and Virginia as well as those in critical need nationwide. You can donate online via our website at www.naavets.org or mail in a check to P.O. Box 6865, Washington, DC 20020-0565. All donations are tax-deductible. If you are a federal employee, you can make your donation at www.cfcnca.org. Our CFC designated number is 85065. Thank you. NAAV depends heavily on its volunteers to help us serve those most in need in DC, Maryland, and Virginia, and nationwide. Volunteer opportunities exist for professional services such as community outreach specialists, donation advisors, grant writers, media consultants, event planners, and Veterans’ service representatives to name a few. 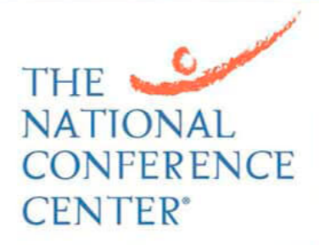 For more information about the National Conference Center, call 703-729-8000; for reservations, call 703-724-5111. 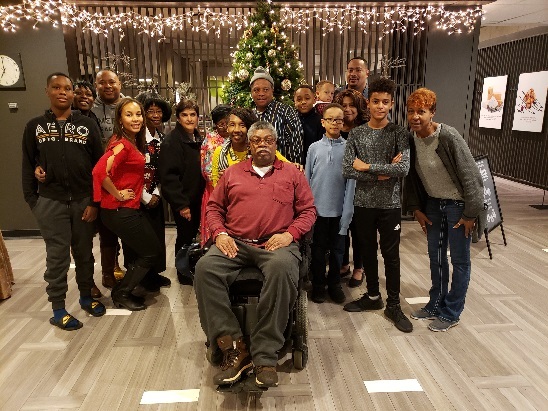 For information about NAAV Military Family Program featuring respite care for caregivers of Veterans and/or donations to support respite care, please call the NAAV Office at 202-465-3296, or e-mail info@naavets.org, www.naavets.org. Please spread the word if you know of someone in need of respite care. Please refer them to us. More information about NAAV and how we can help is available on our website at https://www.naavets.org. This entry was posted in Military Family, News and Events, Organization News, Veteran Caregivers, Veteran News, What's New and tagged Respite Care, Retreat, Veteran Caregivers. Bookmark the permalink.